Catching some air after watching the movie "Rad?" Well its been about a year since I first got my Modern stuff from QRF. Figured I'd get an infantry unit painted, now that I have decent models. QRF models are 'ok' but Battlefront is better, and with the recent release of the Egyptian infantry for Fate of a Nation, I decided to get a blister to get my 3rd Inf platoon. I mean, good sculpts of guys with AK's and the right helmets? Heck Yes! As you can see, the BF infantry mixes in very nicely with the QRF stuff. In the background are the BTR's they would drive around in. Models on the right are the 9K11 'Malyutka' TOW missile, that used the outer casing of the suitcase it comes in as the launch base! Counts as the Recoiless gun in FAON. Close up of the Malyutka (AKA AT-3 'Sagger') and shoulder mounted missile team. I went with a 3 tone scheme for the camo, Flat Earth, Reflective Green and Green Grey. Zvezda T-72 (center) and 2 QRF T-72s. WW2 T-34 crew by Battlefront. The ERA blocks (explosive reactive armor) are the main visual cues on the Zvezda model's turret. It's their new plastic, which is 1000 times better than their old stuff. Front view. 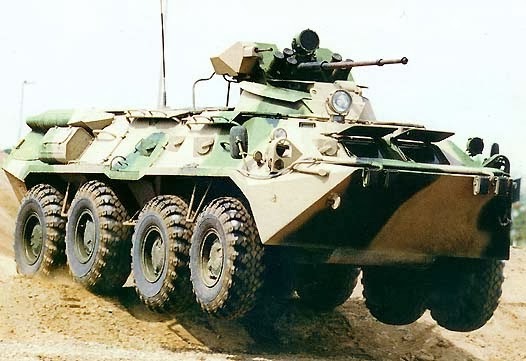 The Zvezda sits higher and has a different front end. I think this might actually be a T-80 (turbine engine not piston plus a few other differences) but I am no expert. Side view, Zvezda on the right. Wheels are different, as well as the skirting. In a nice touch, Zvezda made the skirting optional, so it isn't one piece with the track. How bout a quick battle? 1500 points of Fate of a Nation, I used Egyptian list, Duane was proxying Israeli's.. with nazi tanks... He had ten vehicles, I had 30, plus 3 platoons of infantry. Soviet Naval Ensign markings.. in a shallow pond! "Tiger"s were Magach's. They took so much firepower, bailed out for most of the game.. it would take marching infantry up to them on the large hill (see below) plus Malyutka's to press the objective for the win.. would they hold up? The dead-on accuracy of the Israeli tanks on the move plus storm-trooper plus Hens and Chicks meant this battle went to the wire. Every time he fired I was losing 4 or 5 tanks.